I believe we can make a significant difference in the future of Pharmacy for both healthcare and society. The practice of pharmacy is now evolving from the provision of drug and drug products to patients by dispensing pharmacists, to rendering patient-focused pharmaceutical care by pharmacists who now have the skills to improve drug therapy and healthcare outcomes. Such elevated practice has proven to significantly impact the cost and the well-being of patients in both the hospital and the ambulatory care settings. 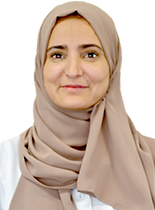 The College of Pharmacy at KSAU-HS has already adapted the University Of Tennessee College Of Pharmacy’s curriculum through a contractual agreement, a program that is recognized by the North American Accreditation Council for Pharmacy Education (APCE). The rapid growth of the population in Saudi Arabia coupled by an acute shortage of healthcare practitioners particularly pharmacists and the pressing need to improve healthcare outcomes present another challenge to educators and those in charge of training pharmacy graduates. High ethical standards Professionalism. The College achieves its mission by striving for excellence in education, service, and research. Preparing its students to become well-rounded pharmacists and leaders who are capable of practicing collaboratively with all healthcare professionals in any setting.